With its unusually high temperatures and low rainfalls, 2018 pushed the consequences of climate change impressively into the focus of the broad public and raised many questions on the topic of adaptation. 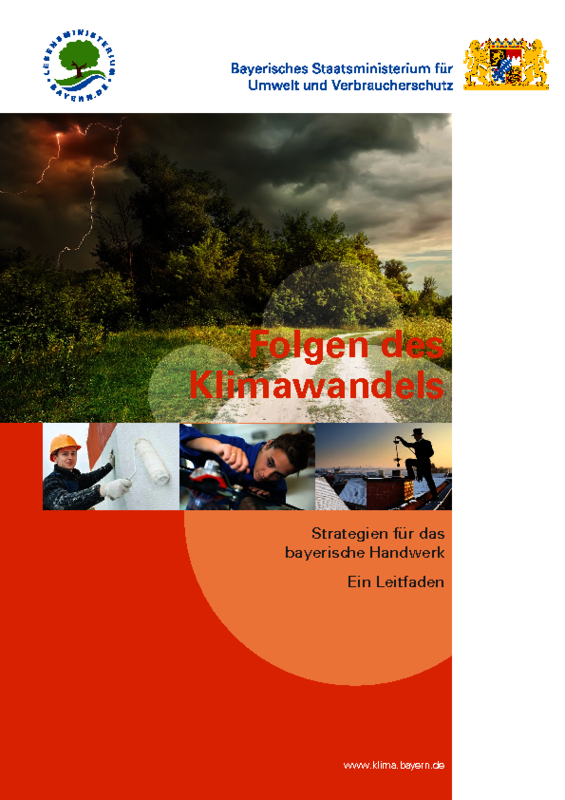 These questions were also the subject of the Bavarian Trades in the Focus of Climate Change – Opportunities, Risks, Strategies (“Das bayerische Handwerk im Fokus des Klimawandels – Chancen, Risiken, Strategien”) project, within the scope of which, seven case studies were conducted with trade firms. The effects of climate change play an important role, especially for trades, as many trades are dependent on outdoor conditions in some form or another when carrying out their work. Whether this is their work on construction sites, on the customer’s premises or the use of certain construction and other materials. The results of the project were presented to the public on 31 January 2019, in Augsburg, in the Swabian Chamber of Trade (Handwerkskammer für Schwaben). To start with, the deputy managing director of the Handwerkskammer für Schwaben, Mr Alfred Kailing, and the head of the department for climate policy and climate research of the Bayerischen Staatsministerium für Umwelt und Verbraucherschutz, Ministerialrat Dr. Helmut Theiler, pointed out the centrality of the topic of climate protection and climate adaptation for politics, the economy and society. 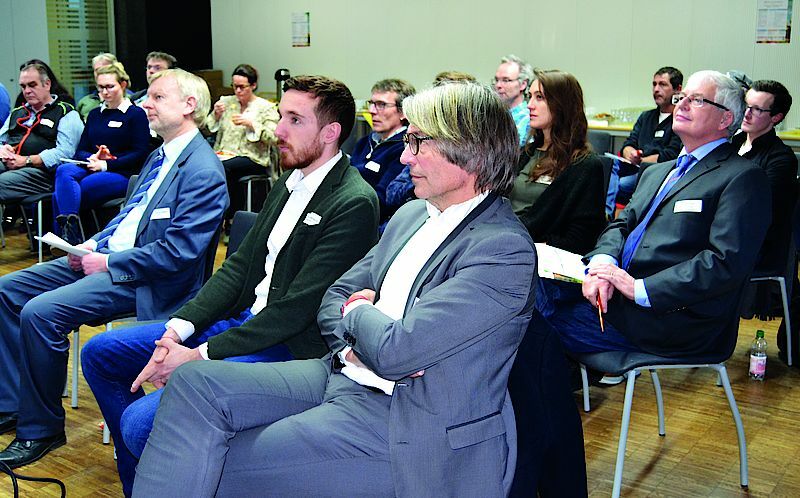 Prof. Dr. Jürgen Schmude, project manager and chair at the LMU university in Munich, then introduced the climate data for Bavaria used in the project. 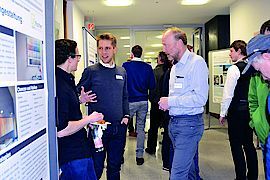 He was followed by Dr. Michael Schneider of bifa Umweltinstitut, who explained the background and structure of the project. After Ms Ruth Berkmüller (bifa Umweltinstitut) and Dr. Michael Bischof (LMU Munich) had presented the case study firms and explained methodological details, the project results were presented in a poster session with the trades involved in the study. The results show that both positive and negative consequences of climate change are already reality for the participating firms. Measures to adapt to current and expected conditions are not optional, but for many firms are already necessary in order to continue to be efficient and competitive in the future, to adequately protect employees and to keep potential financial risks low. 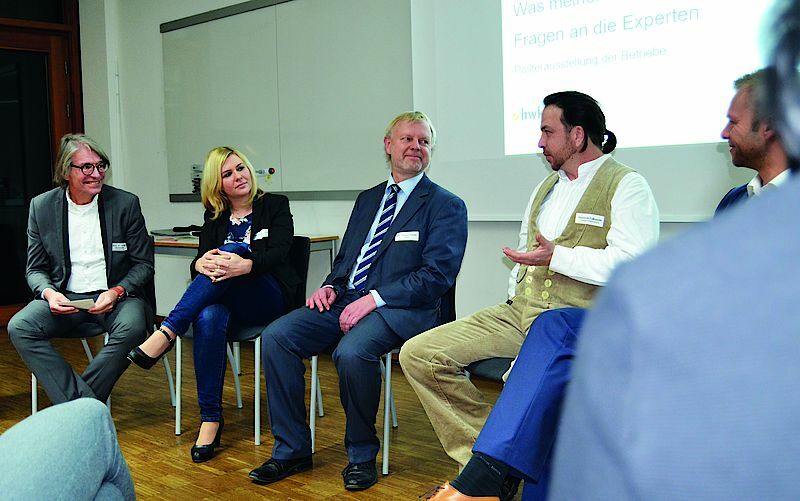 The risks and opportunities particularly relevant for Bavarian trades lie in areas of extreme weather during the summer, such as sustained heat or heavy rain as well as in milder temperatures during the winter months. Not only did the extent to which the firms are affected by the consequences of climate change become clear, but also their creativity, innovative power and commitment to mitigating risks and to targeted use of opportunities. Specific adjusting mechanisms for climate adaptation were worked up, which can also be as starting points and inspiration for the climate adaptation of other trade firms. In addition to the listed strategies and first steps, which the firms can implement themselves, general areas for action and measures for all stakeholder were identified, which can only be advanced jointly – i.e. by politics, associations and companies working together in unison. In this context, issues named particularly frequently included: changes to the legal framework with regard to occupational safety and noise protection, creating and improving awareness, setting up trade-specific development programmes, especially for small businesses, as well as specific support from the associations for weather-adapted work organisation and specific further training offers. 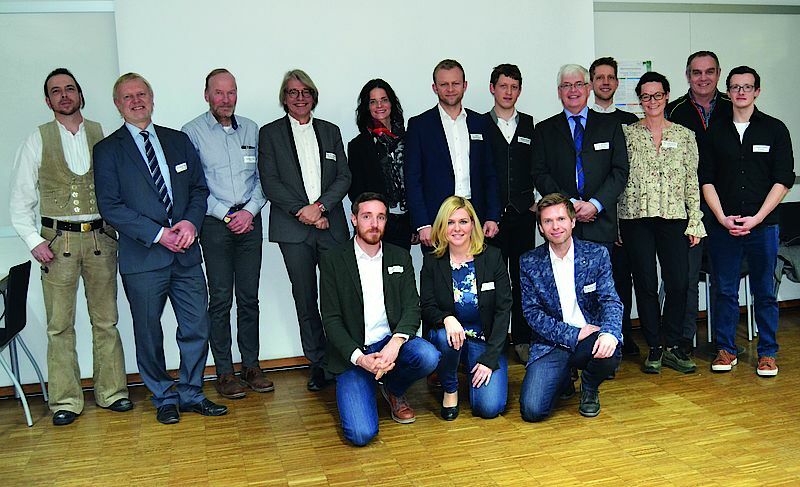 The project, sponsored by the Bavarian State Ministry of the Environment and Consumer Protection, was managed by the Economic Geography and Tourism Research Chair of the Ludwig-Maximilians University in Munich and was jointly implemented with bifa Umweltinstitut GmbH and the Chamber of trade for Swabia. The following companies were extremely committed in their participation in the case studies: Dipl.-Ing. 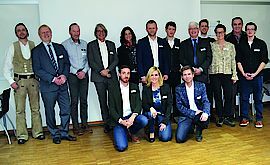 H. Bendl GmbH & Co. KG Bauunternehmen (Günzburg), ENIB Energienutzung in Bayern GmbH (Garching), FASSNACHT-NATURSTEINE (Neusäß), Fischer Raumgestaltung (Marktoberdorf), Maler Strobl GmbH (Pöttmes), Rohrkraft e.K. (Kempten) as well as Voigt Bedachungen GbR (Friedberg). A brochure with the most important results of the project is available.